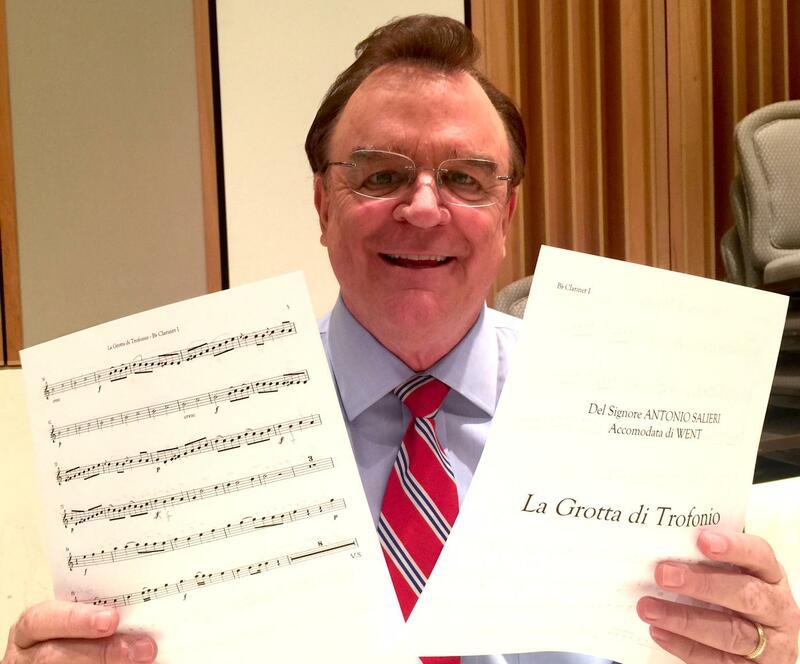 Veteran Hawai‘i newscaster Joe Moore is a noted Mozart aficionado. In the 1980's, Moore hosted a popular HPR radio program exploring Mozart's music and influences. Along the way, Moore realized the disservice that had been done to one of Mozart's contemporaries, Antonio Salieri, in the book and film biography, "Amadeus." Further research unearthed a charming wind transcription of a Salieri opera which, thanks to Moore, will have its U.S. premiere this week in Hawai‘i. 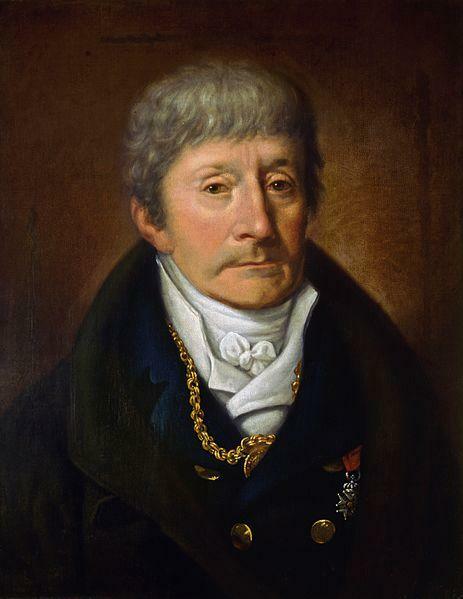 A painting of Antonio Salieri by Joseph Willibrord Mahler. Antonio Salieri was an Italian classical composer, conductor, and teacher who lived from 1750 to 1825 with many productive years. Mozart, you will remember, died at 35. A look at the music of Antonio Salieri in light of a groundbreaking concert by the Spring Wind Octet and Joe Moore. Chamber Music Hawai‘i presents “MALIGNED MASTER: Setting the Record Straight on Salieri” with the Spring Wind Octet and commentary by Joe Moore. Tickets are available online or at the door. 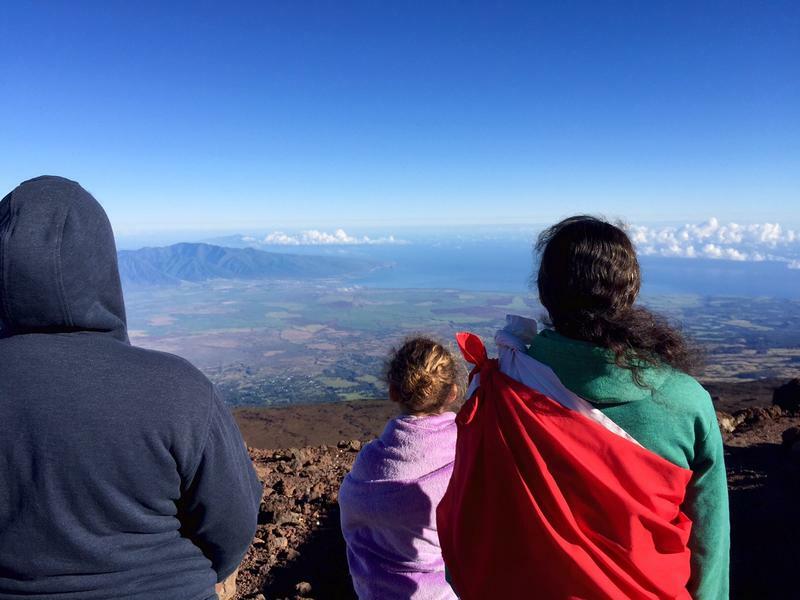 Students with a current ID are always free at Chamber Music Hawai‘i concerts. If you go and do not enjoy yourself, Joe Moore is offering a refund. Simply mail your ticket stubs to him at KHON for reimbursement. 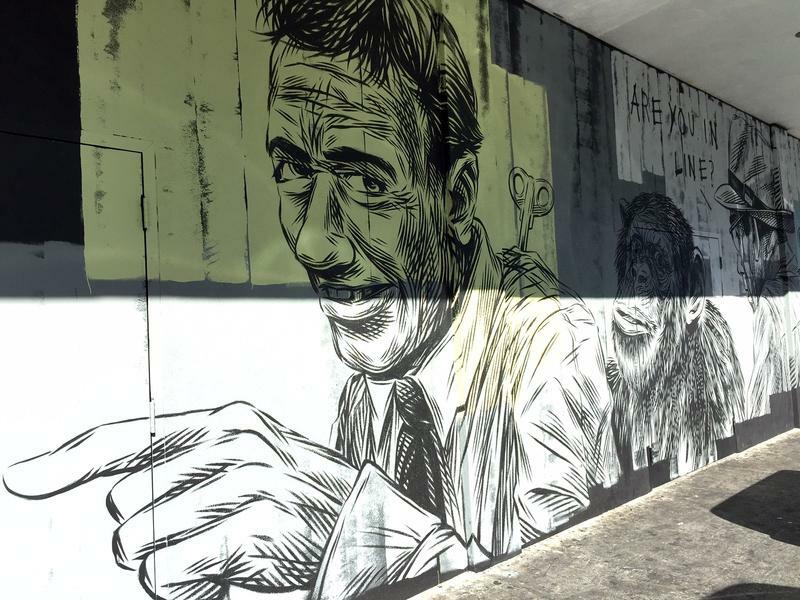 Did you know newscaster Joe Moore had his own Mozart music program on Hawai‘i Public Radio for five years? Here at a rehearsal between newscasts, Moore said his fascination with the master started by accident on a date. The Spring Wind Quintet has been amplified for this concert! 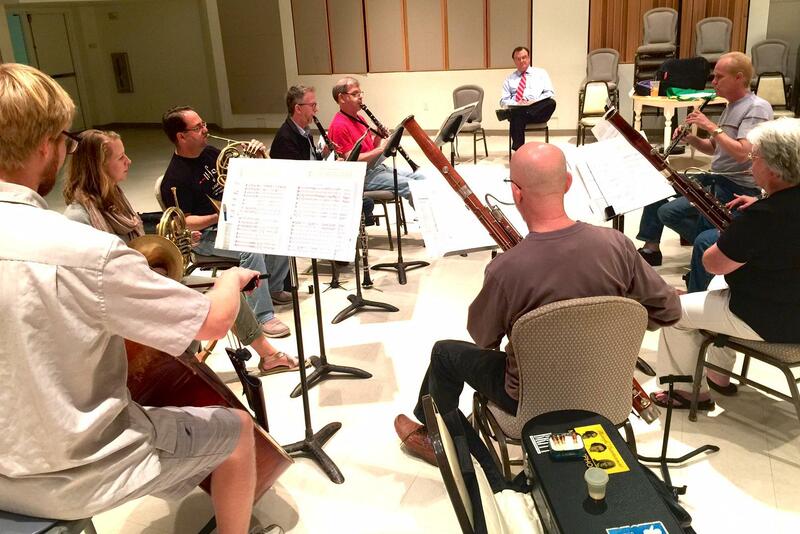 (l-r) On string bass, Malcolm Armstrong, Julia Filson and Jonathan Parrish, horns, Norm Foster and Jim Moffitt on clarinets, Joe Moore making notes for his script. In the foreground, Phillip Gottling and (r) Marsha Schweitzer on bassoon. Scott Janusch and Ryan Klein (off camera) perform on oboe at this rehearsal in the Musician's Union. Ingenuity, profound emotion, playfulness, Mozart’s music is a magnet as portrayed in the movie, “Amadeus.” What has always bothered Moore, however, is the depiction of Mozart’s so-called rival, Antonio Salieri, who was actually more of a mentor and quite possibly more popular in the day. In fact, we get a rich picture of the late 1700’s in Europe by enjoying them both. Johann Wendt arranged many of Mozart’s operas for wind band and he did the same for a Salieri opera we will hear. HSO principal clarinetist Scott Janusch says Mozart is credited with naming this little musical bridge, the eingang, that generally leads into a refrain. Jazz style, it’s an improvised moment. Moore is so sure about this, he’s offering your money back if you go and aren’t wowed. Remember, with a student ID, Chamber Music Hawai‘i concerts are always free.